Booyah Capitol Auction! for noting coin doctoring, one of the few houses that take the trouble to point out these alternations. We appreciate your numismatic skill and integrity. 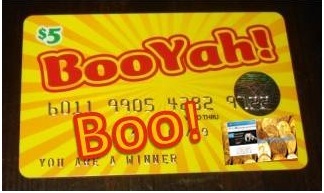 Booyah Jewelry Exchange! 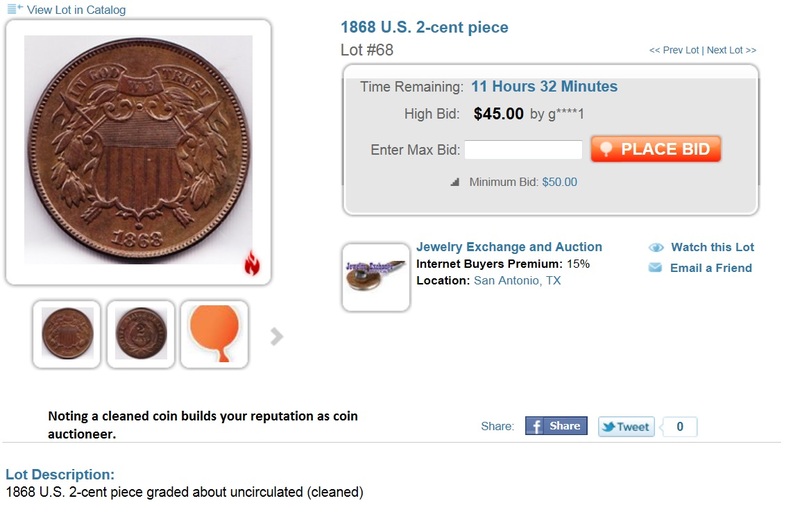 for noting cleaning on a 2-cent coin that looks uncirculated. Without this notation, the winning bidder would have been disappointed. We appreciate your honesty and numismatic skill, too! Booyah Weaver Auction! Talk about numismatic skill, honesty and integrity? Take a look at this by Weaver Auctions. 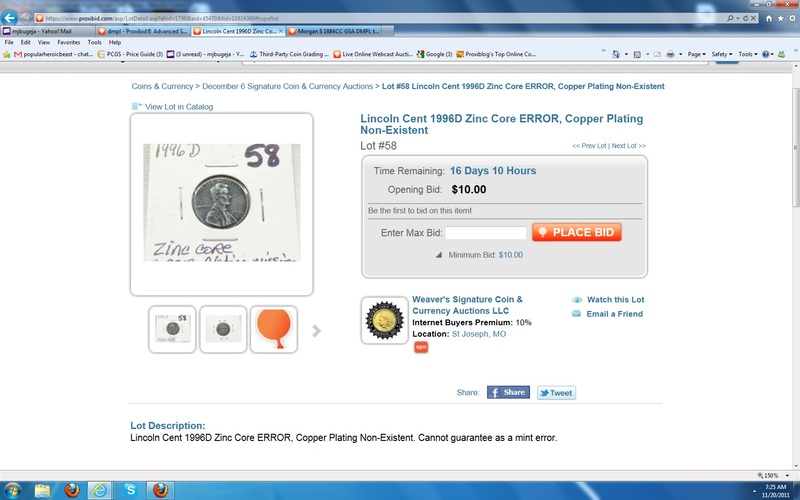 It’s a zinc core cent that appears to be a mint error (but cannot guarantee that it is, as the auction house notes). For the record, I think the plating was removed in a high school chemistry experiment. One of our sons showed us how to do it. 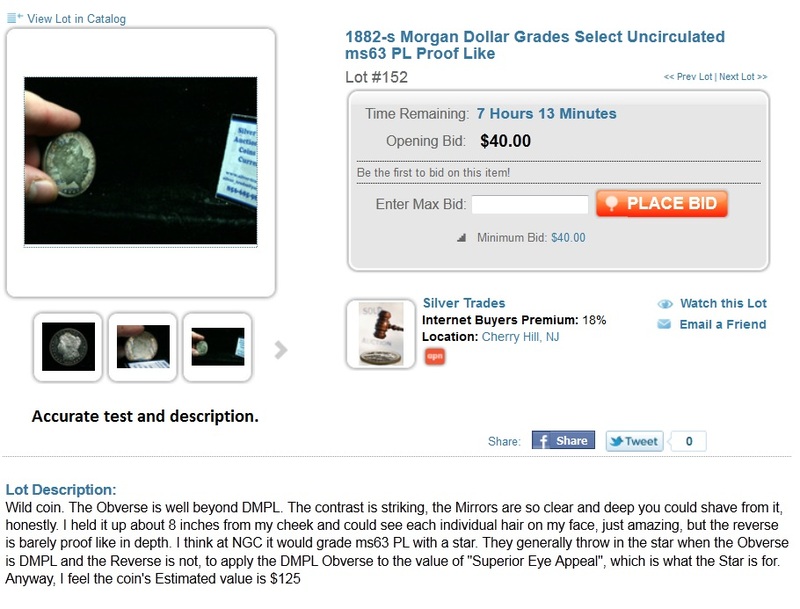 Can’t guarantee that’s what happened here, but can guarantee that Weaver Coin and Currency Auction is one of the best on the portal. Booyah Silver Trades! for yet another accurate description, excellent photography and numismatic information. 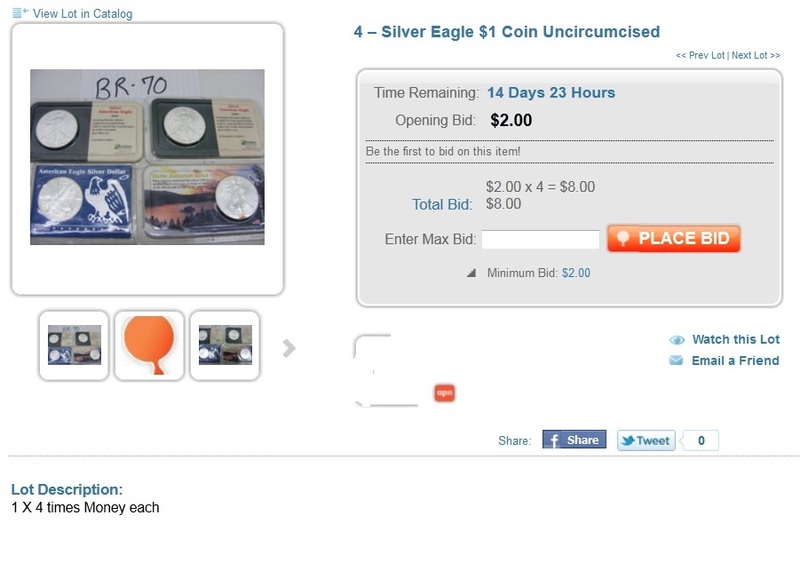 It’s fun to visit Corey’s auctions because his lot descriptions and audio are as good as any coin show … except you can win lots by tuning into his! Boo! 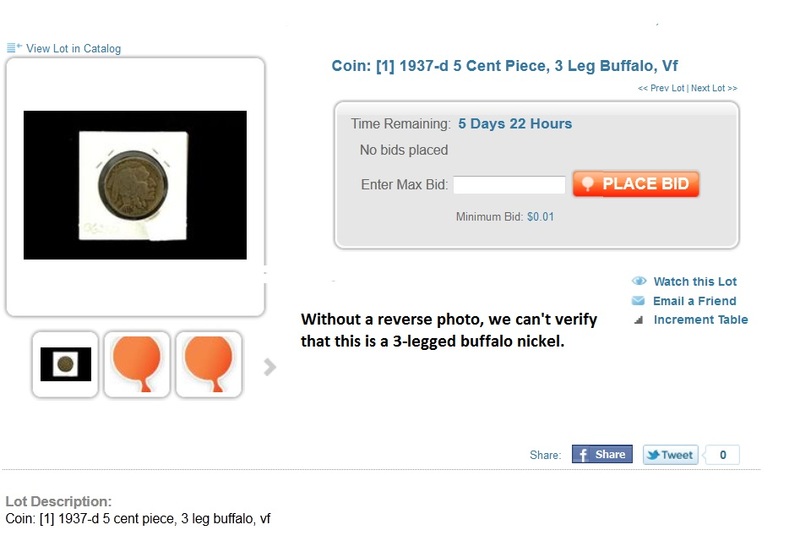 to this unnamed auction house that doesn’t provide a reverse picture of a three-legged buffalo nickel. There are many fakes out there. Typically one looks at the reverse not only for the three legs but also for a small planchet lump near, ahem, the lower hind quarters. Can’t do that here. So advise not to bid. Boo? Booyah? we just couldn’t make up our minds for one of the classic lot errors in memory. We posted it because we couldn’t resist. And it nearly went viral (oops–can’t say that without a Freudian slip) on coin sites. Once again, ahem, we just couldn’t resist. The word is UNCIRCULATED! 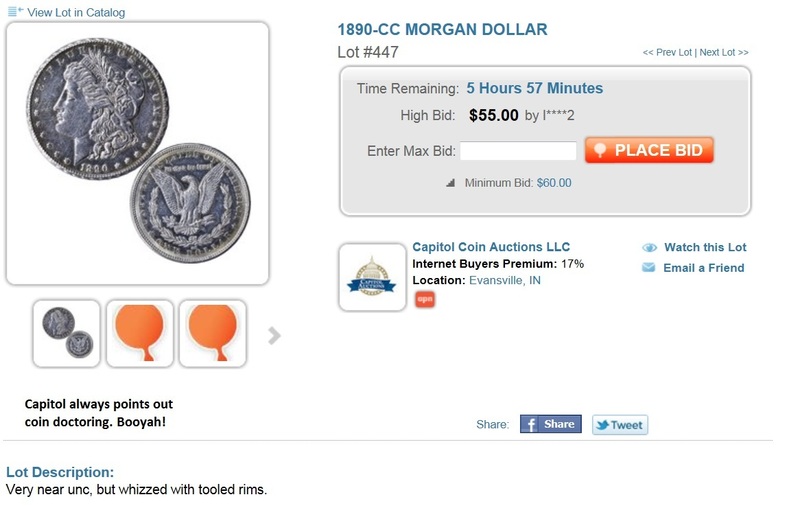 This entry was posted in Best Practices, Featured Updates and tagged American Numismatic Association, Auctioneers, AuctionZip, Best Practices, Capitol Coin Auction, Coin Auction, iCollector, Jewelry Exchange, National Auctioneer Association, Proxibid, Proxiblog, Silver Trades, Weaver Signature Coin Auction. Bookmark the permalink.